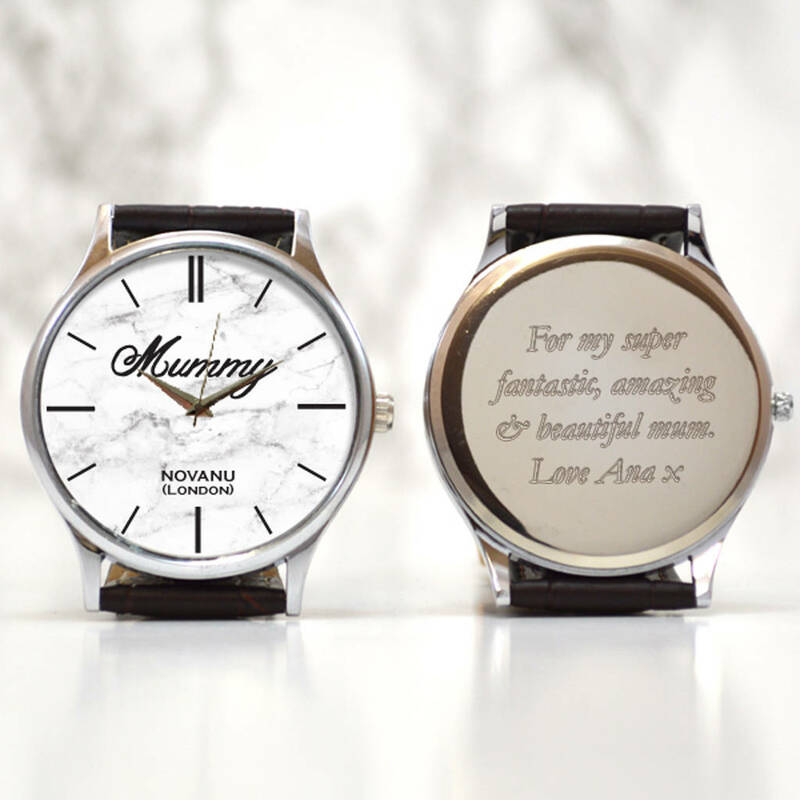 A personalised wrist watch with an option to add a message on the front of the black marble design dial and on the back. This watch has been designed to have an elegant yet simple design on the dial which can be personalised. 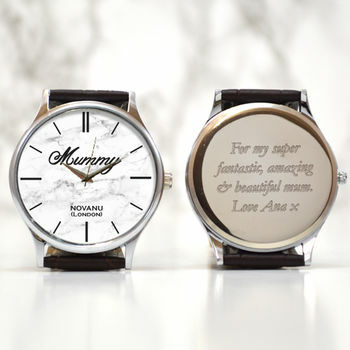 You can add a message on the dial face like mummy , name or date. A great gift idea for the reciepient to remind her of their precious time with their friends or loved ones. A timely gift for mother’s day, birthday or Christmas. The watch has lines for the hour hand and has Novanu (London) brand on the watch face dial. You can have a printed message above the centre point 12 characters. All our personalised gifts are engraved and printed in house so if you have any questions or special requirements then please contact us and we will endeavour to work to your requirements. Why not also purchase a greetings card for a little extra to advise the gift recipient who the engraved wrist watch is from? If you wish to choose this option, a bespoke, full colour, standard A5 sized card, folded in half and printed with your message on one of the inner sides can be chosen in the personalisation fields. The unisex greetings card will be sent in a white envelope with your gift. 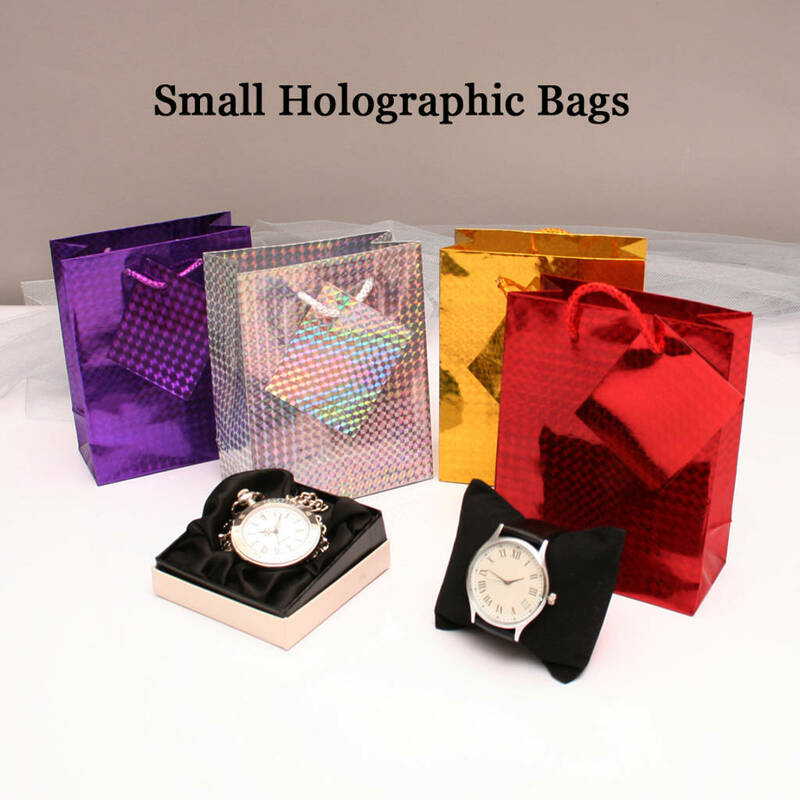 You could also include a holographic gift bag for your personalised watch gift. They come in silver, red gold or purple. If you require this option then just choose the colour you prefer in the dropdown box provided.